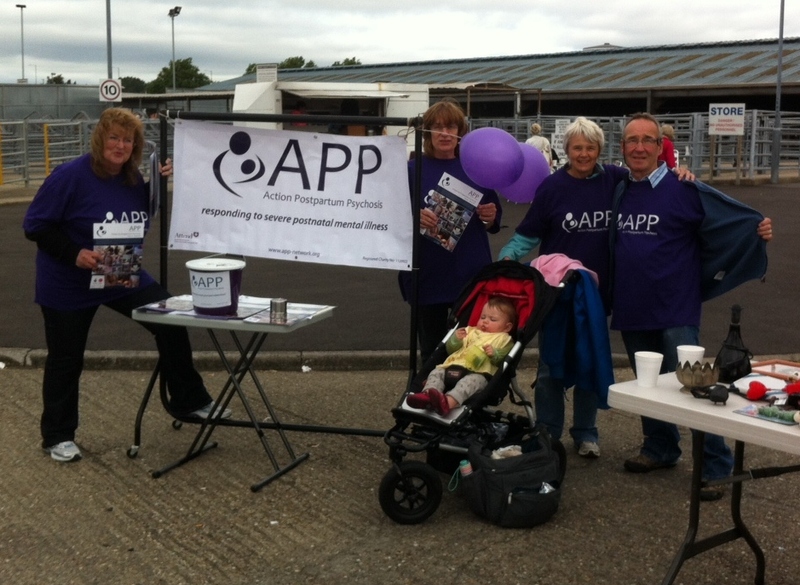 Derby Cattle Market was the venue for an APP awareness raising & fundraising "Purple Party" in Sept. It was a very successful event... leaflets were distributed and APP magazines were handed out to those who requested information. We were pleased to engage with midwives and with those who had stories to tell of their postnatal mental illnesses. Huge thanks are due to Adrian Blamire and Steph and Geoff Brackpool (who have always been good friends of APP) who helped Sue Blamire and Heather Heron (APP trustees) throughout the day. It is no mean feat getting up at 5.30 in the morning to brave the Derby crowds. Thanks also are due to Mary Heron for her donation and also to all of those who donated items for sale. The total raised was an impressive £440! Excellent work everybody!